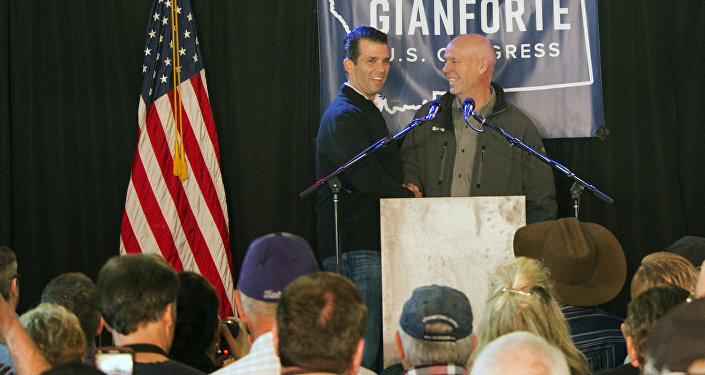 One day after being charged with assaulting a journalist, Republican House candidate Greg Gianforte lost the endorsements of three Montana newspapers ahead of Thursday’s special election. The Independent Record, the Billings Gazette and the Missoulian retracted previous endorsements of Gianforte following the tech millionaire’s “body slam” of Guardian journalist Ben Jacobs. The Republican “violated that pledge [to uphold Montana values] when he attacked a reporter for doing his job Wednesday night,” the Missoulian wrote. Audio of the altercation indicated that the assault followed Jacobs pressing Gianforte on the Congressional Budget Office score of House Republicans’ American Health Care Act, and how it impacted the Montana House of Representatives candidate’s stance on the party’s desperate attempts to repeal and replace former US President Barack Obama’s Affordable Care Act. The CBO forecasts 23 million people would go uninsured as a result of the "replacement" package. Republican "fixes" to the legislation left 1 million fewer uninsured than earlier versions, according to previous analyses. Hardly the behavior of someone aiming to be primetime all the time as a member of Congress.